The model's arms spin smoothly enough to maximise the drying process, even when it is fully loaded with heavy wet washing. A hole at the end of each dryer arm will let you hang coat hangers with some of the more delicate items, keeping them crease-free. The washing lines are UV-resistant. The construction is a bit awkward to lower. 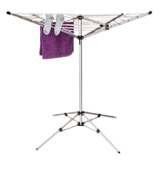 We were really impressed with the Brabantia Lift-O-Matic rotary washing line. 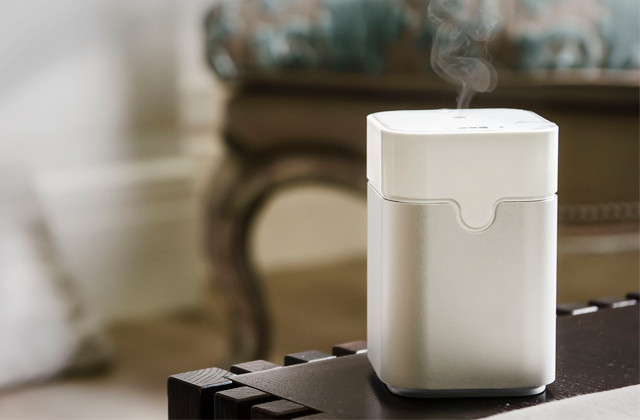 It is definitely one of the most cleverly designed options on the market today. The inventive construction gives enough space for every clothing item and a bunch of other things in need of drying. The construction incorporates a thick 40-millimetre steel centre pole. The strong steel frame does not bend or deform with time. Instead, it provides a stable foundation. A locking system that features 4 different line tension settings will let you choose the right tension setting based on the amount of laundry you're looking to hang. The protective cover is a little difficult to remove. 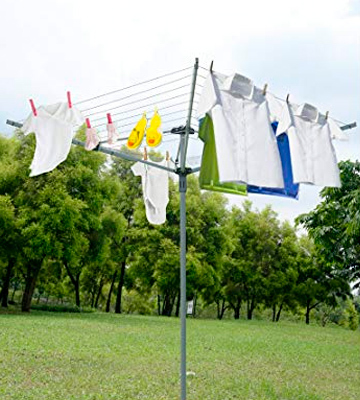 The Home Laundry Company LYQ220-40S is a rotary washing line that will likely last you a lifetime. The 2-metre tall construction will allow you to hang long clothes and bedding items. Plus, the umbrella diameter and the pole diameter aren't too shabby either. 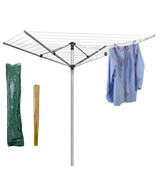 Featuring a 4-arm design, the washing line lets you hang a large variety of different items. 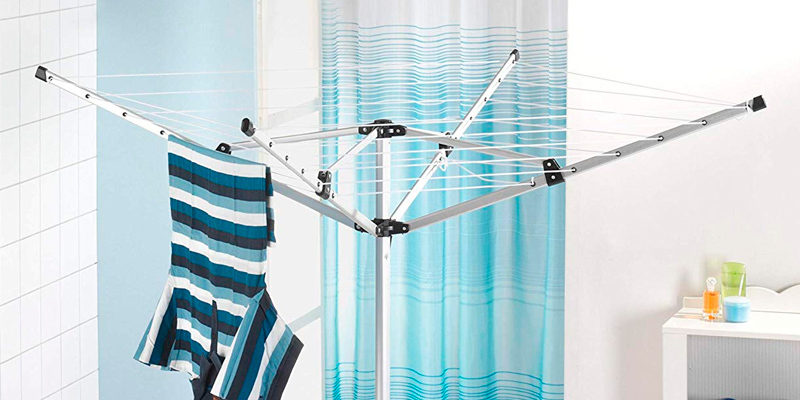 With 50 metres of drying space, you'll be able to hang up to 4 loads of laundry. In addition to the washing line, you get a protective cover and a metal ground socket. Not that easy to set up on your own. 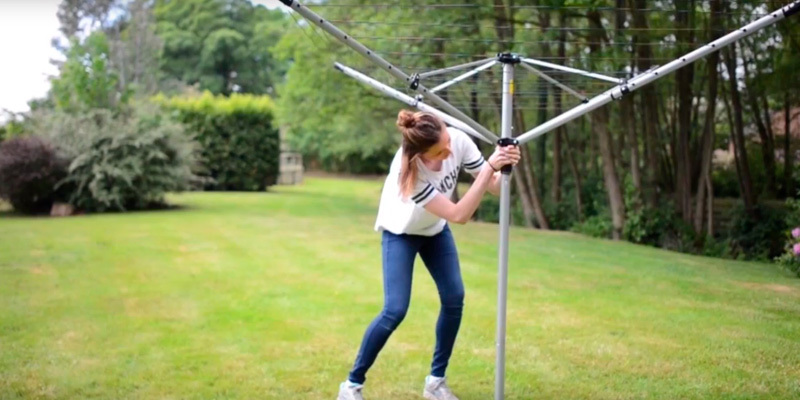 This Homegear airer is as good of a rotary washing line as they come. The PVC-coated lines are a lot sturdier than you would think. The powder-coated steel pole is practically immune to rust and corrosion. Though exposed to the elements, the pole remains strong enough to provide a firm and reliable foundation. The arms can be folded down when not in use, making storage simple and accessible. 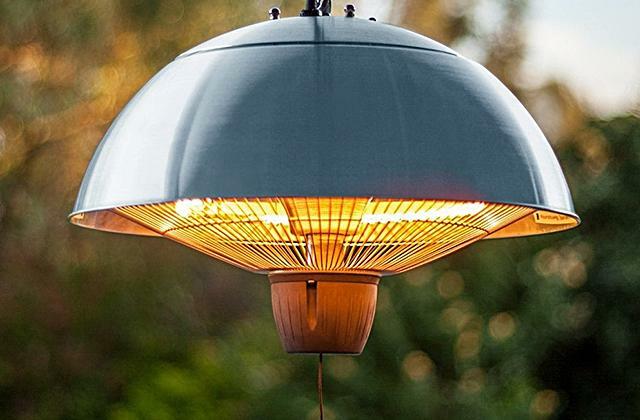 The one-pole central design of the model simplifies its use. It makes the construction really easy to open. 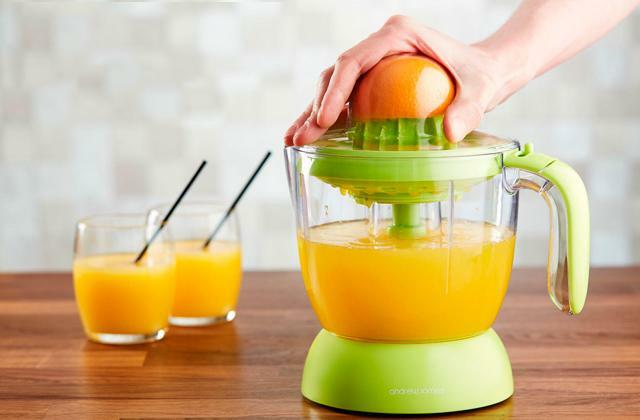 All you need to do is just slide the handle outwards and you're good to go. 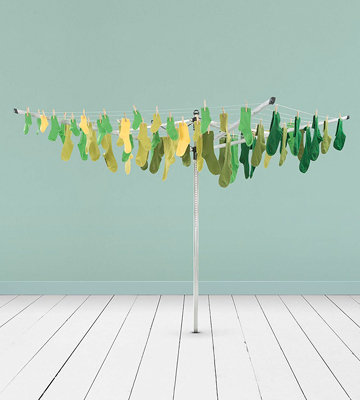 Marko Homewares Washing Line is a model that was clearly designed with your average consumer in mind, making it suitable enough for the majority of customers. 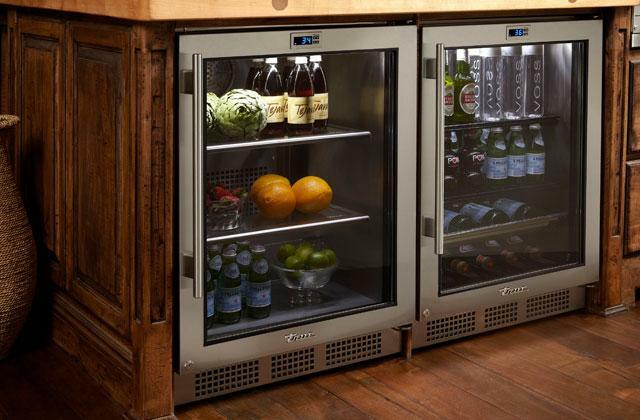 Everything, from the size and the streamlined design, makes this product a safe and smart investment. The umbrella diameter of approximately 2 metres gives you lots of space. Made of aluminium and incorporating plastic brackets, the model is really lightweight yet robust and sturdy at the same time. It isn't susceptible to rust nor will it let corrosion take over its surface. Not as stable as ground spike models. 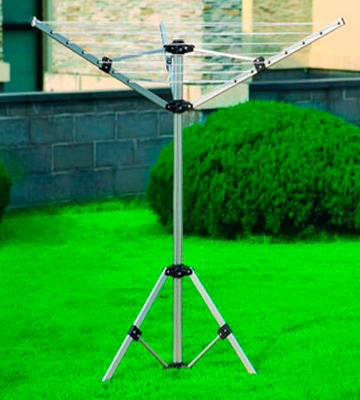 Oypla Rotary Airer is a solid rotary washing line. It has its weak spots but given what it offers in return for a really modest chunk of change, we definitely couldn't avoid adding this product to our review. 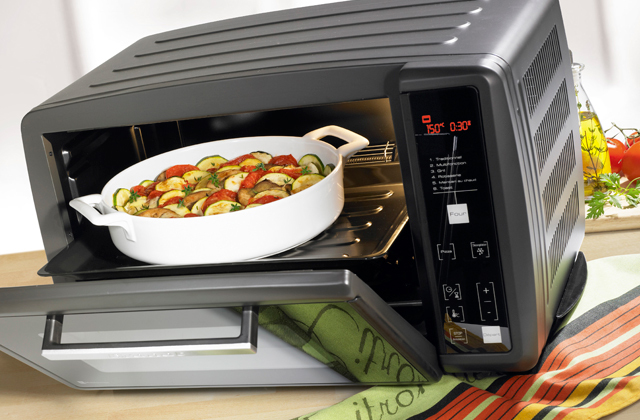 Plus, the model is really compact and weighs just 2 kilograms. 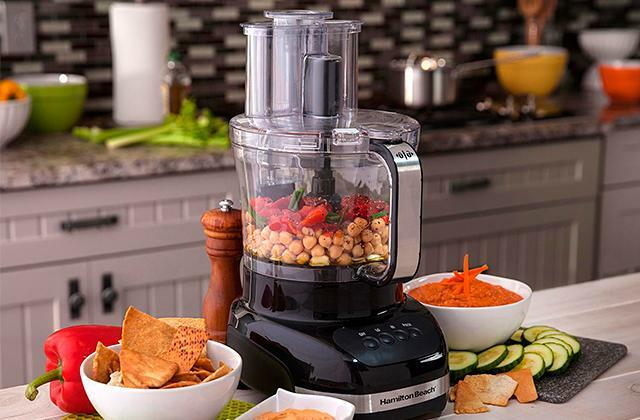 Brabantia Lift-O-Matic may not look like anything that different from your typical rotary model provided you don't look for the little details. If you do that, however, you'll likely wind how much better it is than the rest of them. Its most discerning characteristic is the titular Lift-O-Matic feature. Simply put, what we're dealing here with is a smart system that allows you to effortlessly adjust the height in the range between 1.29 and 1.87 metres. Fixed in a lower position, it will let you dry pillows and other bedding items. In a higher one, the product makes it possible to easily hang wet heavy washing. The model's arms spin smoothly enough to maximise the drying process, even when it is fully loaded with the said wet heavy washing. One of the better aspects of this product is its 50 metres of drying space, more than a generous amount. 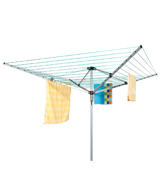 That much drying space allows the washing line to easily handle any washday load. A clever hole at the end of each dryer arm will let you hang coat hangers with some of the more delicate items, keeping them crease-free. Lastly, the washing lines are UV-resistant, so they do not lose their appearance over time. On top of that, their non-slip profile makes the lines particularly practical. In closing, we were really impressed with the Brabantia Lift-O-Matic rotary washing line. 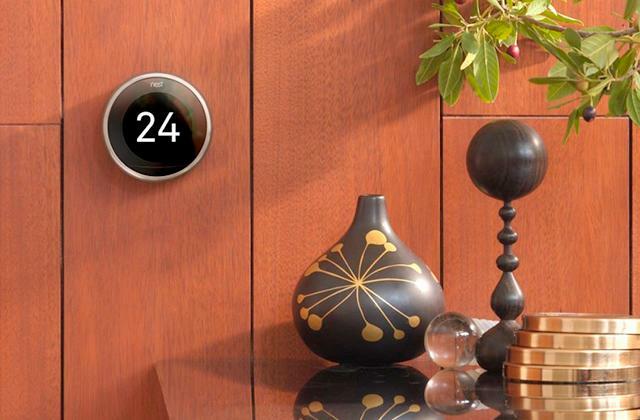 It is definitely one of the most cleverly designed options on the market today. The inventive construction gives enough space for every clothing item and a bunch of other things in need of drying. 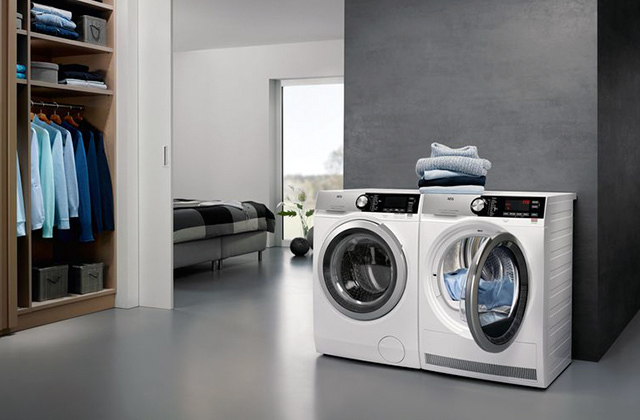 The Home Laundry Company LYQ220-40S doesn't compromise on size nor does it sacrifice quality in favour of that size. Starting with the latter, the cornerstone of the model's construction is a robust 40-millimetre steel centre pole. The strong steel frame does not bend or deform with time. Instead, it provides a stable foundation, keeping the arms nice and steady. On top of that, you have 40 metres of high-quality PVC coated polyester line that will be able to withstand the wear and tear of time. 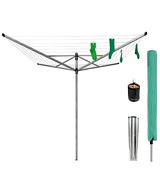 As it is always the case with the company's products, the washing line comes with a complementary metal ground spike as well as a water-resistant zipped cover. Which is always a nice bonus even though the cover is stiff and can be a little difficult to remove. 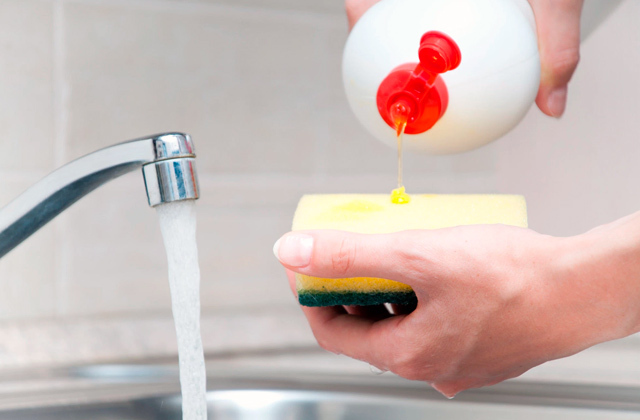 Living with a sizable family, you will be dealing with sizable washday loads. 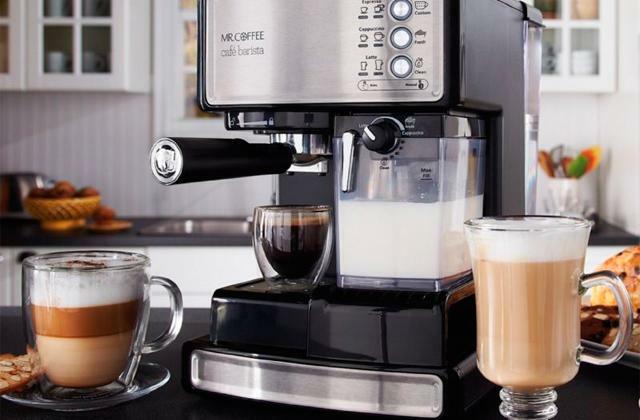 Fortunately, the model comes equipped with a locking system that features 4 different line tension settings. The system will let you choose the right tension setting based on the amount of laundry you're looking to hang, making the construction particularly practical. To sum it up, The Home Laundry Company LYQ220-40S is a rotary washing line that will likely last you a lifetime. The 2-metre tall construction will allow you to hang long clothes and bedding items. Plus, the umbrella diameter and the pole diameter aren't too shabby either. Homegear Washing Line keeps it simple. The price is affordable and the construction does not incorporate any unnecessary details, so you won't waste your money on questionable features you'll never end up using anyway. The biggest part of rotary washing lines' sell in the first place is the convenience and the drying space relative to the size of the construction. And that's clearly the idea the people behind this model had in mind. Featuring a 4-arm design, it lets you hang a large variety of different items. 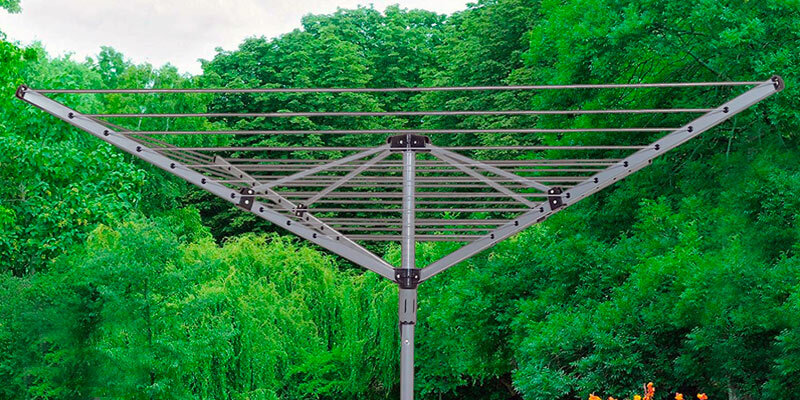 With 50 metres of drying space, you'll be able to hang up to 4 loads of laundry. Considering the price, we find that nothing short of impressive. And since simplicity was the driving philosophy behind its design, the model doesn't really have any major flaws. Mostly because it doesn't have any unnecessary details. The only gripe we have with it is the fact that it can be a little difficult to set it up on your own, so you may require some assistance. 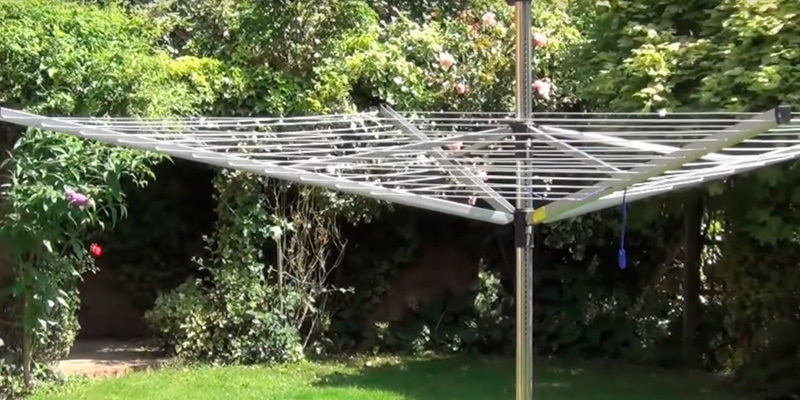 Other than that, this Homegear airer is as good of a rotary washing line as they come. The PVC-coated lines are a lot sturdier than you would think. The powder-coated steel pole is practically immune to rust and corrosion. Though exposed to the elements, the pole remains strong enough to provide a firm and reliable foundation. 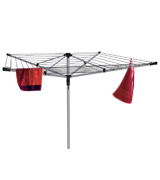 Marko Homewares Washing Line gives you real value for your money. The idea here is a simple rotary washing line that allows you to dry your clothes in a convenient, efficient, and practical manner. What we also like about it is the majority of the specs. Forty metres of drying space is more than enough for just about any large family. The height of 1.75 metres will be perfect for hanging bedding items, long dresses, and other similar clothes. But it isn't too tall to make it inconvenient for shorter people. The umbrella diameter of approximately 2.1 metres, again, gives you just the right amount of space, enough but not too much to make it inconvenient. Equipped with 4 arms, this rotary dryer will allow you to separate different items of clothing the way you see fit. Plus, the arms can be folded down when not in use, making storage simple and accessible. That said, the arms are a little stiff, so folding them down and pulling them out again requires a little bit of effort. 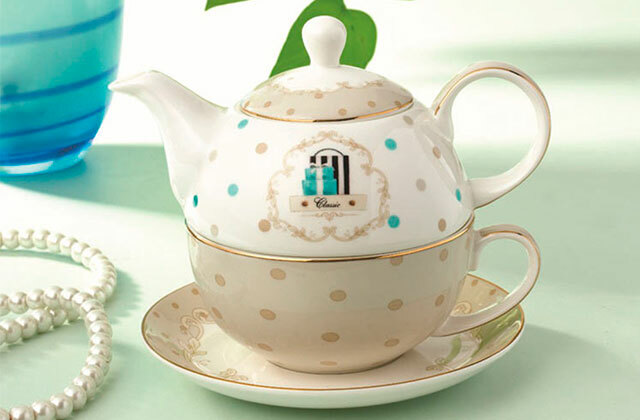 What doesn't require any effort, however, is the one-pole central design of the model. It is really easy to open. All you need to do is just slide the handle outwards and you're good to go. In conclusion, Marko Homewares Washing Line is a model that was clearly designed with your average consumer in mind, making it suitable enough for the majority of customers. 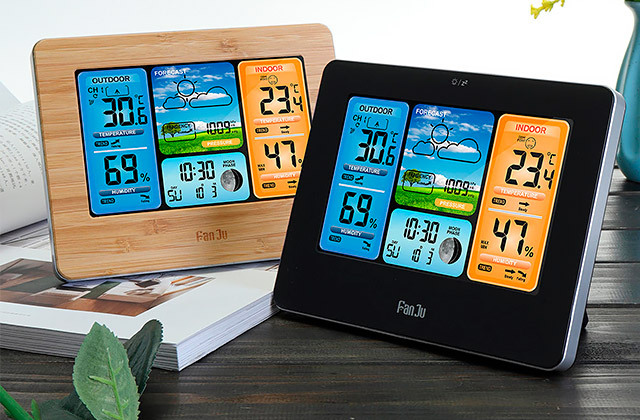 Everything, from the size and the streamlined design, makes this product a safe and smart investment. Oypla Rotary Airer is the cheapest model in this review. In some ways, it is just as good as the rest of them, so we can't say that it is a bad option from the cost-effectiveness standpoint. But it does have its flaws. The whole thing gives you just 15 metres of drying space, which is considerably less compared to every other model here. Of course, if you and your significant other don't have any kids and it is just the two of you, that will be more than enough. And if you live by yourself, 15 metres is plenty. The height of 1.4 metres, for the most part, makes the construction practical enough. That being said, it might just prove a little short if you're looking to hang longer items there. The umbrella diameter of approximately 2 metres does give you quite a lot of space though, so you could just hang an item like that a little differently to prevent it from touching the floor. Where it definitely doesn't disappoint, however, is the construction. Made of aluminium and incorporating plastic brackets, the model is really lightweight yet robust and sturdy at the same time. It isn't susceptible to rust nor will it let corrosion take over its surface. Considering all of the above, Oypla Rotary Airer is a solid rotary washing line. It has its weak spots but given what it offers in return for a really modest chunk of change, we definitely couldn't avoid adding this product to our review. Living with a large family has its ups and downs. The ups are obvious. One of the downs is the amount of laundry and the space you need to dry all of it. More often than not, there's just not enough room for it in the house. But that's okay. 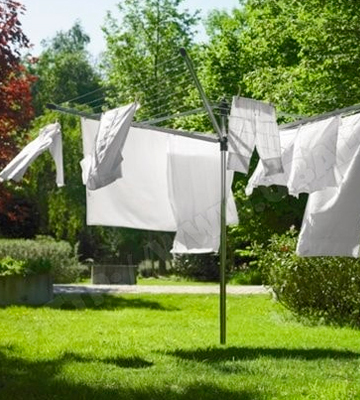 With a rotary washing line, you'll be able to handle all of that laundry effortlessly and efficiently. The effortless part stems from the rotary part, of course. 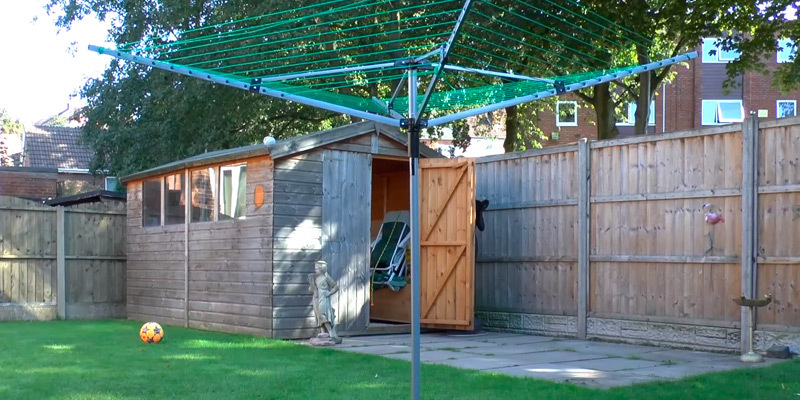 An umbrella construction like that lets you hang all of your laundry without taking up half of the garden. Also known as rotary airers or just dryers, these things will help you organize the laundry and keep it accessible. There's a little bit of a difference between various models, from the number of poles to the diameter of the umbrella. Just keep in mind how much free space you have in your garden and where you're looking to put it. 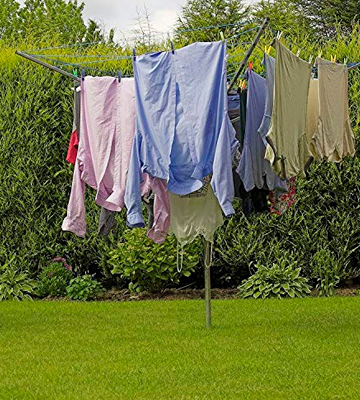 A far more practical solution for laundry management as well as waste care, a rotary washing line is practically a must-have for any crowded household. Live in a flat, so you don't have access to a garden? A new washing machine or a tumble dryer will have to do then.